Breakfast is the most important meal of the day. But mornings are hard, waking up and getting ready takes up the most time and in the process our breakfast time gets hampered. Even though many studies have proved that starting your day with a nutritious meal gives you energy for a better physical and mental performance, most of us give it a miss. So today, we have some easy and quick breakfast recipes for you which will ensure that you don’t leave home with an empty stomach no matter how busy your morning is. 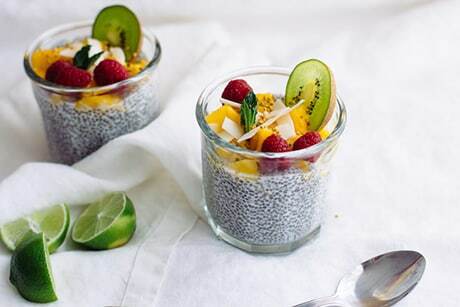 Chia seeds are the healthiest option for breakfast. High in anti-inflammatory omega-3s, this sweet chia pudding is a make-ahead recipe that will save you time, fill you up on fiber, and help you de-bloat. •	Combine ingredients and refrigerate for a few hours or overnight. •	Remove it from the fridge, and make sure your pudding looks thick and the chia seeds have gelled. Top with fresh fruit and nuts, and enjoy immediately. What’s breakfast without omelets? It’s easy to make and a healthy option too. You can also add some veggies and make your omelet super delicious. •	Heat 1 tbsp of oil in a nonstick pan over medium heat. Cook the mushrooms and spring onions for 2-3 minutes, until tender. Take them out in a bowl. •	In another bowl, beat the egg whites along with 1/4 teaspoon of both salt and pepper. 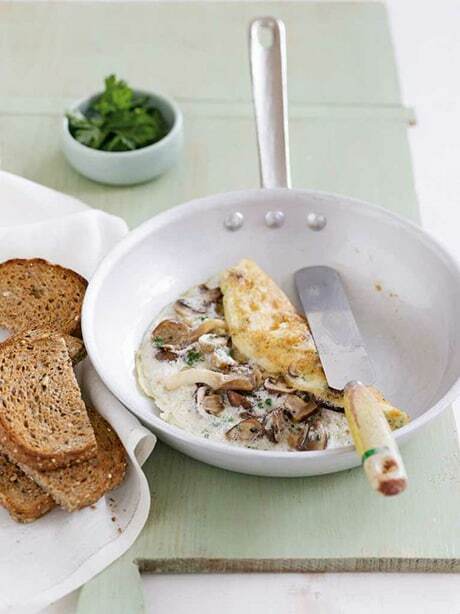 Cook the eggs in the nonstick pan for 1-2 minutes. •	Top with the cooked mushrooms, spring onions and cheddar. Fold the omelet over the filling. Kick start your morning with this simple, yummy and nutritious option. Try it! 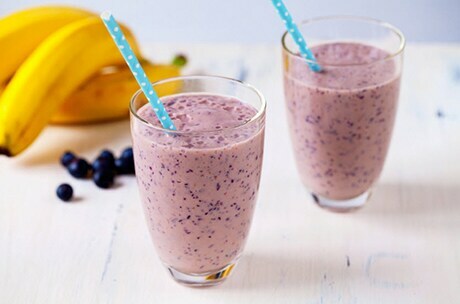 •	In blender, purée banana, pineapple juice, ice, blueberries, raspberries, honey, and ginger until smooth. This one is for the days you literally have 5 minutes for breakfast. Easy to make and even more easy to eat in transit. •	Coat a microwave-safe coffee mug with cooking spray. Add eggs and milk, beat until blended. •	Microwave on high for 45 seconds. Stir the eggs. 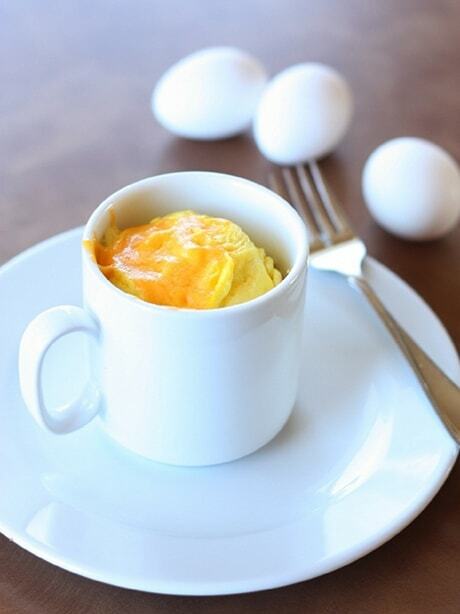 Microwave again until eggs are almost set, 30-45 seconds. •	Top with cheese, salt and pepper. Everyone knows how healthy it is include sprouts in our daily diet. And what can be better than starting your day with it. Check out the quick and scrumptious recipe. 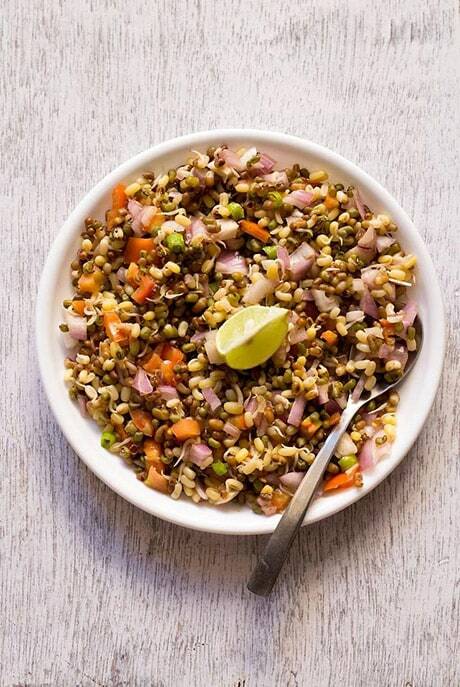 •	Rinse the sprouted moong beans in water. •	You can either steam them or boil them till they are completely cooked. •	Strain the cooked sprouts. •	Mix all the ingredients except the salt and lemon juice in a bowl. •	Season with salt and add a few drops of lemon juice. Garnish with lemon slices and coriander leaves.